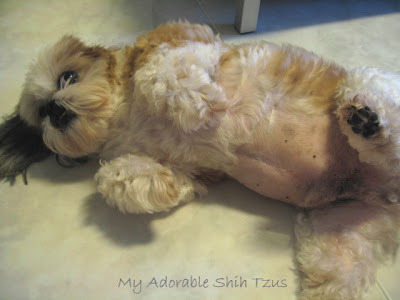 My adorable shih tzus: Fatty Wally! Recently, my sweetheart Wally has put on so much weight . I think I have to bring him for more walk and cut down on his snack but it's been raining nowaday.